The term refers to a state ofmind in the process of literary and artistic creation. It suggests that theauthor, fully inspired by emotions, transcends the constraint of time andspace, and enters into a state of free imagination or a special mood forliterary and artistic creation, before producing a natural and beautiful workof literature or art, either in language or in imagery. This term was popularlyused in literary and artistic theories of the Wei, Jin, and Southern andNorthern dynasties. Liu Xie of the Southern Dynasties devoted one chapterespecially to this term in The Literary Mind and the Carving of Dragons. Withemphasis on the unique mental activity in literary and artistic creation,imaginative contemplation is different from other cognitive activities. Taiji (the supreme ultimate) hasthree different meanings. First, it refers to the origin of the world. Theancient Chinese saw it either as qi (vital force) or yuanqi (primordial vitalforce) that permeates the chaotic world, or as a universal principle, i.e. Daoor li (理), or as wu (无). Second, it is used as aterm of divination, referring to the initial state before divinatory numbers,the odd number one (written as �C) and the even numbertwo (written as �C �C), are applied or before theyarrow stems are divided. Divination is conducted on the basis of taiji. Third,it stands for the highest point or boundary of space. This is an important term aboutliterary style that stresses the unity and integration of the styles ofwritings with the temperaments of their authors. The term originated from LiuXie’s The Literary Mind and the Carving of Dragons. One chapter of thebook discusses how the styles of writings are related to the temperaments ofthe writers, and argues that the writings truly reflect the temperaments oftheir authors. This has encouraged later generations to analyze differentstyles of literary works based on the authors’temperaments and became a basic line of thought on ancient Chinese literarystyle. Ti and yong (substance andutility) can be understood in three different ways: 1) a physical thing and itsfunctions or roles; 2) the ontological existence of a thing and its expressionand application; and 3) the fundamental code of conduct, and its observance. Inany ti�Cyong relationship, ti (体) provides the basis on whichyong (用) depends. This term referred mainly to allthe land under the name of the Son of Heaven and the right to rule on suchland. Ancient Chinese held that the rule of senior officials was over theirenfeoffed land, and that of dukes and princes was over feudal states. The ruleof the Son of Heaven was over all the land. Literally, tianxia (天下) means “all under heaven.” It actually refers to allthe territory embracing the enfeoffed land and feudal states under the rule orin the name of the Son of Heaven, as well as all the subjects and the right torule. The term has later evolved to refer to the whole world. Confucianism advocates thepolitical principle of governing the country through benevolence and winningpeople’s support through virtue as opposed to badao (霸道) �C the despotic way. Enlightened kings and emperors ofancient times governed the country primarily through benevolence and virtue. Inthe Warring States Period, Mencius advocated this idea as a political concept:Only by governing the state with benevolence and righteousness, and by handlingstate-to-state relations on the basis of virtue, can a ruler win popularsupport and subsequently unify the country. The kingly way or benevolentgovernance epitomizes the Chinese people’s respect for “civilization” and their opposition to theuse of force and tyranny. This term refers to a thriving,prosperous, and perceptibly refined society in which people behave in acultured fashion. Wen (文) refers to the arts and humanities, including social norms, musiceducation, moral cultivation, and a social order that is hierarchical yetharmonious. Ming (明) means bright, prosperous, andhighly civilized. The Chinese nation has always preferred wen to wu (武 force). This is the loftiest ideal pursued by the Chinese nationsince ancient times. It was also the criterion by which to judge whether thegovernance of a nation was well conducted. Wenqi is the personality an author demonstrates inhis works, and is a fusion of his innate temperament and the vitality seen inhis works. Originally, qi (气) referred to the basic element in the initialbirth and formation of all things, as well as heaven and earth. In literarycriticism, it refers to an author’s distinctiveindividuality and its manifestation in his writings. Humans are believed todevelop different characters and traits endowed by the qi of heaven and earth.Reflected in literary creation, such different characters and traits naturallyfind expression in distinctive styles and varying degrees of vigor as well asrhythm and cadence. Wuwei (non-action) refers to astate of action. Daoism contrasts “action” to “non-action.” “Action” generally means that the rulers impose their will on others or theworld without showing any respect for or following the intrinsic nature ofthings. “Non-action” is theopposite of “action,” and hasthree main points: 1) through self-control containing the desire to interfere;2) following the nature of all things and the people; and 3) bringing into playthe initiative of all things and people. “Non-action” does not mean not doing anything, but is a wiser way of doingthings. Non-action leads to the result of getting everything done. There are three meanings to theterm. 1) The five fundamental things or elements that make up all things. TheBook of History was the first to define the five elements: metal, wood, water,fire, and earth. Each of these has its own properties and they interact in agenerative or destructive relationship. 2) On a more abstract level, the termrefers to the basic framework to understand the world. All things can beincluded in the realm of wuxing (五行) and their properties are explainedor understood accordingly. 3) It refers to five kinds of moral behavior. Xunzionce criticized Zisi and Mencius for “creating wuxingon the basis of old theories.” Ancient bamboo slipsunearthed from a grave at Guodian dating back to the State of Chu as well asinscribed silk texts from the Mawangdui Tomb of the Western Han Dynasty, alldescribe this wuxing as benevolence, righteousness, li (礼), wisdom, and the wisdom and character of a sage. Inspiring imagery is an artisticachievement of profound literary significance and with great aesthetic taste,obtained through the perfect blending of an author’s feelingswith an objective situation or scenery. Xing (兴) is animpromptu inspiration of the author, and xiang (象) amaterial object he borrows from the external world in his writing. Tang-dynastypoetry critic Yin Fan first used the term “inspiringimagery" in his “Preface to A Collection of Poemsby Distinguished Poets” in commenting on the works ofpoets in the golden period of the Tang Dynasty. It later became a standard forassessing the merit of a poetic work. This term was first used byLaozi as a way to understand Dao. He believed that one can not understand Daoby calmly observing everything unless one abandons all distracting thoughts andbiases, and keeps one’s mind as clear as a mirror. Later literary critics believed thatthe state of mind as required for xuanlan has similarities with the state ofmind required for literary writing and appreciation, thus they made it animportant term to mean one’s state of mind must transcend all desires andpersonal gains in literary writing and appreciation. Highbrow and lowbrow, adichotomy in literary criticism, refer to two kinds of literary and artisticworks, namely, the refined versus the popular, and the lofty versus the vulgar.Highbrow describes works that elegantand reflect what conforms with mainstream ideology, whereas lowbrow-art formstend to meet popular aesthetic standard. From the perspective of art creation,highbrow art may be exquisite, but often appears affected, whereas lowbrow art,which has a folk origin, is natural, refreshing, unaffected, and unconstrained.From the Tang Dynasty onward, it became a trend for men of letters to borrowthe best from popular art, thus further spurring the growth of lowbrow art,enriching cultural life and leading to more diversified artistic expressions. 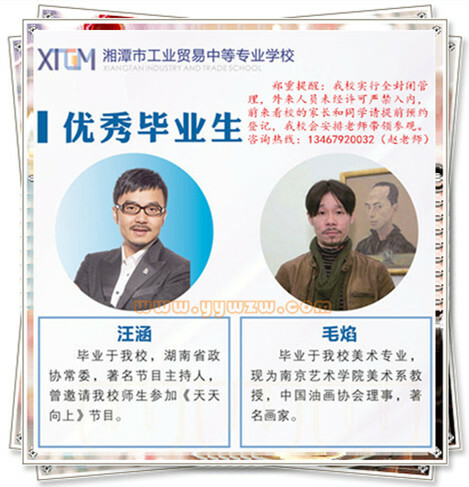 This term suggests cultivatingone’s moral spirit and improving one’s physicaland mental well-being to achieve the best state of mind during literarycreation in order to write excellent works. “Cultivatingqi (气)” has three implications:1) in the pre-Qin period Mencius emphasized that the virtuous and the capableshould foster a “righteous qi”conducive to moral cultivation; 2) A Comparative Study of Different Schools ofLearning by Wang Chong of the Eastern Han Dynasty has a chapter entitled “Treatise on Cultivating Qi,” whichemphasizes qi cultivation primarily in regards to maintaining good health; 3)Liu Xie of the Southern Dynasties, in The Literary Mind and the Carving ofDragons, drew upon the foregoing ideas and suggested maintaining good physicalcondition and a free, composed mental state in the initial phase of literarycreation, while opposing excessive mental exertion. “Cultivatingqi” subsequently became an important term in thelexicon of literary psychology. Imagery refers to a typicalimage in literary works, which embodies the author’s subjectivefeelings and unique artistic conceptions. Yi (意)literally means an author’s feelings and thoughts, andxiang (象) refers to the image of a material object inthe external world, an artistic image reflecting the author’s thoughts and feelings. In literary creation, imagery often refersto those images in nature with which an author’sfeelings and thoughts are associated. Emphasizing the harmonious relationshipbetween beauty in both form and content, it is a mature state of literarycreation.